The FBI conducted a three-year investigation, dubbed "Seizing Thunder," into a animal-rights and environmental "terrorists" in the Pacific Northwest that devolved into widespread—and seemingly pointless—surveillance of activists for no apparent reason aside from the fact that they were anarchists, or protested the war in Iraq, or were "militant feminists." Here's the file. I first came across the name "Seizing Thunder" several years ago while rifling through the FBI's investigative files on the Animal Liberation Front. The ALF records obliquely referenced the evocatively named investigation, which I requested via the Freedom of Information Act just for kicks. Last month—after three years—the FBI returned nearly 500 pages (it held back 784). It turns out that Seizing Thunder, which was based out of the bureau's Portland field office, was one of several investigations into animal rights and environmental activists nationwide that the FBI eventually merged into Operation Backfire, a wide-ranging probe of ALF and the Earth Liberation Front. Backfire concluded in 2006 with the indictments of 11 activists for arson and other "acts of domestic terrorism," including a notorious 1998 destruction of a $12 million ski lodge in Vail, Colo. The Portland portion seemed to focus primarily on gathering general intelligence on activists who used tree-sitting and other monkey-wrench tactics to fight old-growth logging in the Pacific Northwest. What makes Seizing Thunder interesting, however, is how easily the agents slipped beyond investigating actual federal crimes and devoted considerable resources to tracking political activists with no apparent criminal intent. July 19, 2002: "On [redacted], the source observed a [redacted] Oregon license plate...parked at [redacted], a known anarchist hangout." August 8, 2002: "The source observed the following vehicles in the vicinity of [redacted], a major hangout for the anarchist and [redacted]"
September 19, 2002: "On [redacted] the source observed [redacted] vehicle, Oregon license plate [redacted] parked at [redacted] one of the hangout for anarchist...."
October 18, 2002: "On [redacted] the source was questioned as to the [redacted] anarchist travelling to [redacted]." "The anarchists were dressed in black"
On [redacted] at approximately 2:30 p.m., the source visited [redacted]. The source did not observe any anarchists. The source walked [redacted] to view their bulletin board. Most of the ads on the bulletin board were for individuals looking for roommates. On [redacted] the source attended [redacted]. The source visited [redacted] where the source met two unknown anarchists at [redacted]. The anarchists were dressed in black and were in their early 20s.... The source stated the anarchists are planning a protest to "Reclaim the Streets" on April 20, 2002, in Portland, Ore.
About 700 people marched through downtown Saturday in a peaceful protest against U.S. support of Israel in the Middle East crisis. There were no arrests and no altercations, police said. [Redacted] identified [redacted] a mass protest/riot planned by the Eugene anarchist where on 4/22/02 they attempted to "take over the street" and cause havoc during the rush hour. The Eugene Police Department was immediately notified and they called in numerous officers for this unexpected protest/riot. EPD was prepared for this problem and prevented a major riot. EPD expressed their appreciation for this information as it may have resulted in maJor damages of businesses and property, similar to that of a riot in June 1999 where $150,000 of property destruction occurred. I can't find any record of any news organization covering this narrowly averted riot. A flier for the riot included in the file reads: "2 p.m.: Teach-in on the G8.... 4 p.m.: RECLAIM-THE-STREETS! Come and party in the street! Live bands: Pinky Swear (Portland/Punk) and Elevated Elements (Seattle / Hip Hop)." Another high point of the file shows agents conducting surveillance on the Grower's Market, a "not-for-profit food-buying club for buying organic and natural foods" in Eugene, and then literally tailing two random Subaru Legacys (naturally!) to a political rally. As the redacted memo recounting the excursion makes clear, the agents had no idea who they were following, or why. 1100: A gray Subaru Legacy bearing Oregon license plate [redacted] with unknown individuals left the area of the Grower's Market followed by unknown passengers in a red Subaru Legacy bearing Ohio license plate [redacted], a purple Geo Metro bearing an Oregon special license plate [redacted]. These vehicles were followed south on Interstate-5. 1406: The bus and three vehicles were observed parked on the west side of Main Street, south of Oak Street, in a free parking area. The occupants of the vehicles were observed to be carrying protest signs and musical instruments and walking north on Main Street toward the South Umpqua National Bank. 1409: The occupants of the bus and three vehicles were observed protesting outside the South Umpqua National Bank located at Main and Washington streets in Roseburg, Oregon. Officers from Roseburg Police Department and the Douglas County Sheriff's Office were observed monitoring/video taping the incident. "The Anarchists and homeless groups have united"
Source advised that the Anarchists and homeless groups have united in the effort to establish a "homeless camp." Source stated that the homeless community has accepted the assistance of the Anarchists in the area of publicity and community outreach. And don't forget the menace posed by punk rock as performed by anarchists. This memo shows that the bureau's Los Angeles office kept tabs on an the Alternative Gathering Collective, "an anarchist group in Los Angeles that organizes anarchist punk music concerts, many of which are fundraisers for animal liberation and environmental extremist groups and causes." Review of [redacted] found that the AGC sponsored a benefit show for the Long Beach Food Not Bombs (FNB) on 2/5/2005. The concert was held at the Homeland Cultural Center, 1321 Anaheim St., Long Beach CA with the bands Sin Remedio, Ciril, Degrading Humanity, Life in Exile, Lechuza, Civil Disgust, S.O.U.P., and One Side Society. Source advised that the females of the anarchist's movement are in leadership positions in Eugene, Oregon. These females are described as being very feminist and militant. Other hilarious moments involve agents snooping on nature hikes, investigating the serious federal crime of keying cars, and unwittingly letting a warrant for a phone tap expire. Sadly, it shouldn't come as a surprise to anybody paying attention that the FBI spent much of the 2000s following people simply because they harbored forbidden political beliefs. Last year, Austin, Texas activist Scott Crow decided to see if the FBI was keeping tabs on him, so he FOIAed his file. He got back an astonishing 440 pages of surveillance records and other documents, according to the New York Times. Crow, an anarchist, has never been charged with a federal crime. In 2010, the FBI's inspector general issued a report finding that the bureau had overstepped its bounds in investigating political and advocacy groups. The bureau's Pittsburgh office, the report said, had conducted surveillance on an anti-war rally as a "make-work" assignment for a bored agent and then "provided inaccurate and misleading information to Congress and the public" about the incident. It also found that "in several cases" of surveillance aimed at Greenpeace, People for the Ethical Treatment of Animals, and other groups, the FBI's stated bases for the investigations were "factually weak" and demonstrated "little indication of any possible federal crime as opposed to a local crime." A 2003 inspector general audit of the bureau's intelligence gathering and sharing capabilities took note of the increasing emphasis on domestic counterterrorism investigations aimed at "criminal activities associated with animal rights, environmental, and anti-abortion extremists, as well as by certain social protestors" as opposed to, you know, al Qaeda. 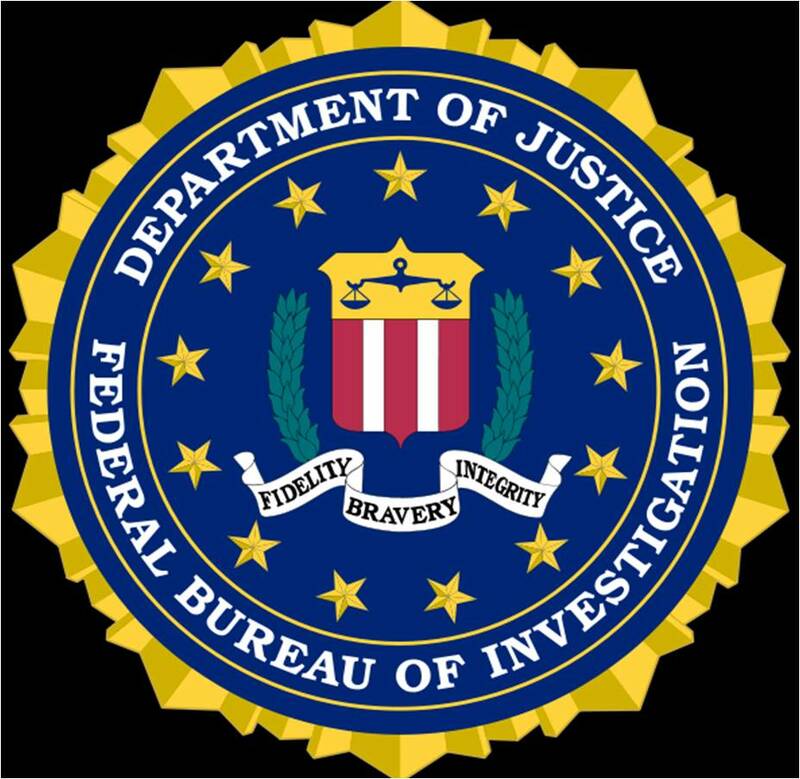 The report diplomatically suggested that the FBI's counterterror resources should be reserved for combating actual terrorism: "To the extent that the FBI seeks to maximize its counterterrorism resources to deal with radical Islamic fundamentalist terrorism, WMD, and domestic groups or individuals that may seek mass casualties, we believe that FBI management should consider the benefit of transferring responsibility for criminal activity by social activists to the FBI's Criminal Investigative Division." The bureau obviously didn't listen. It should be noted that the 11 people eventually indicted in Operation Backfire actually had committed serious crimes worthy of federal investigations. Though the documents are heavily redacted, it appears from context that at the very least one of them—Chelsea Dawn Gerlach, who participated in the Vail arson—was a target of Seizing Thunder. I asked the FBI who, if anyone, was eventually charged based on information developed via Seizing Thunder, and what federal crimes the bureau suspected unidentified Subaru drivers, militant feminists, and frequenters of "anarchist hangouts" of committing. A spokeswoman did not immediately respond. You can read the full file below.